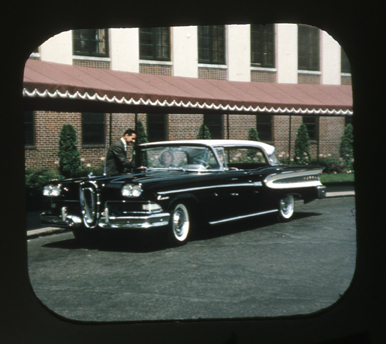 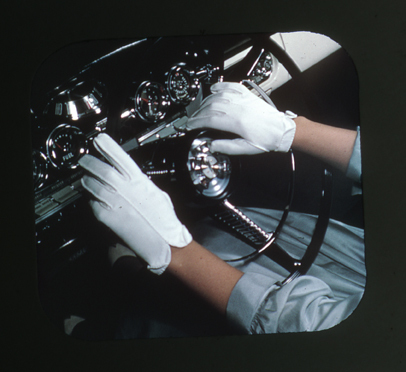 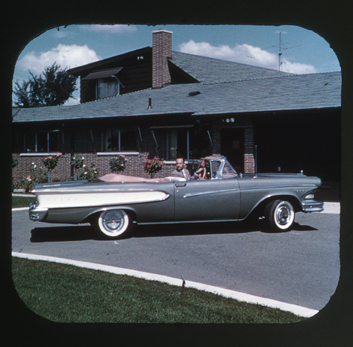 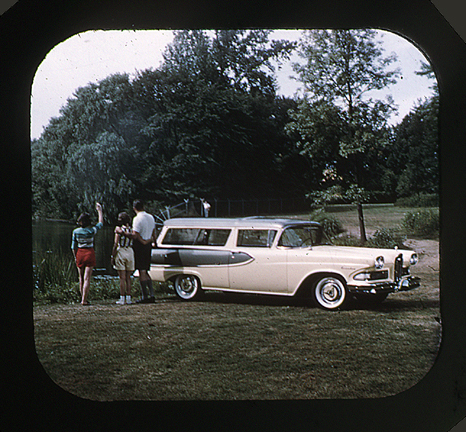 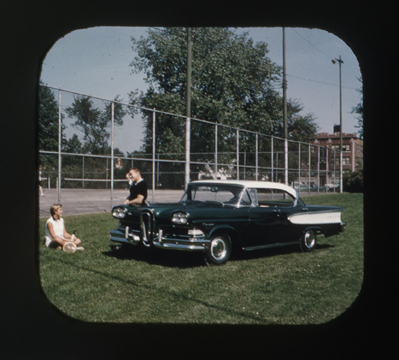 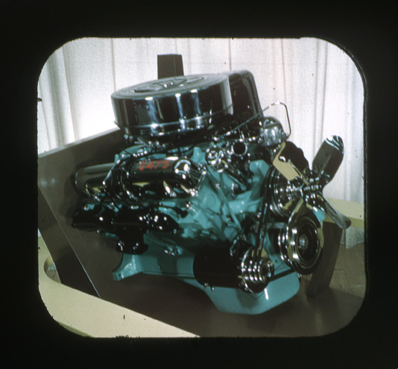 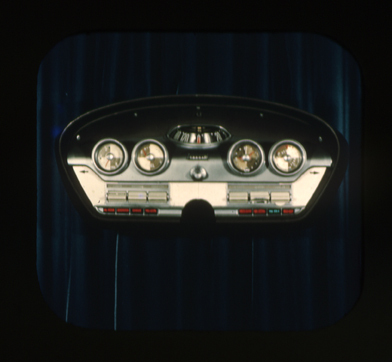 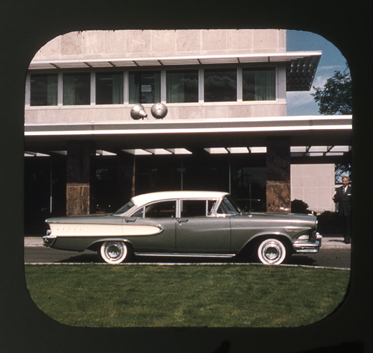 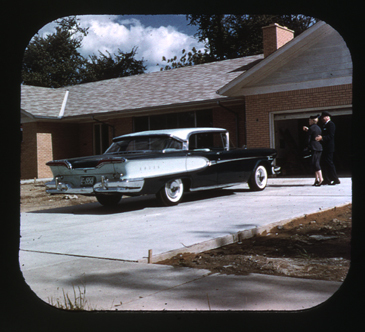 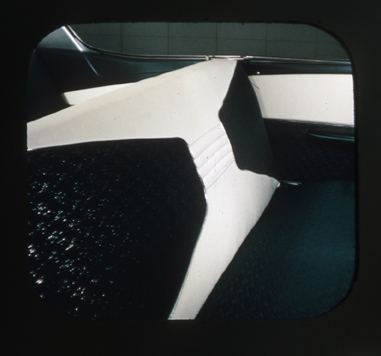 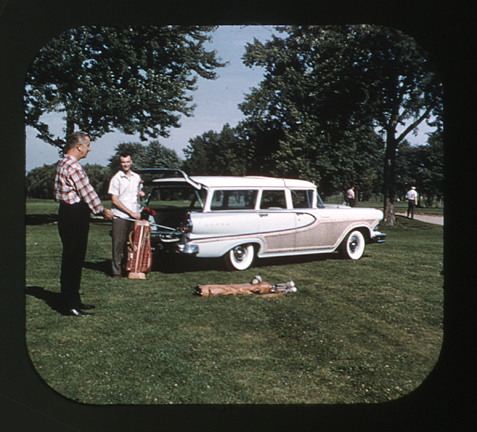 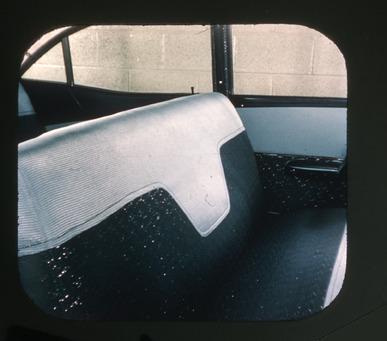 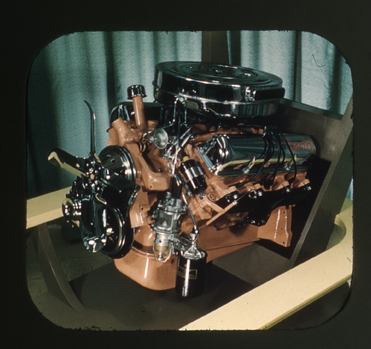 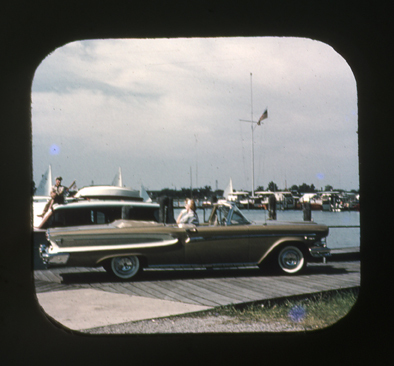 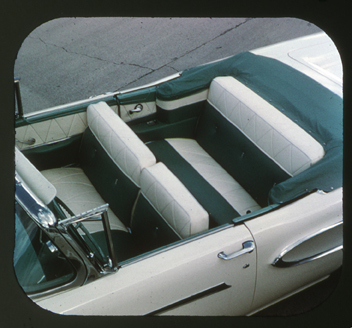 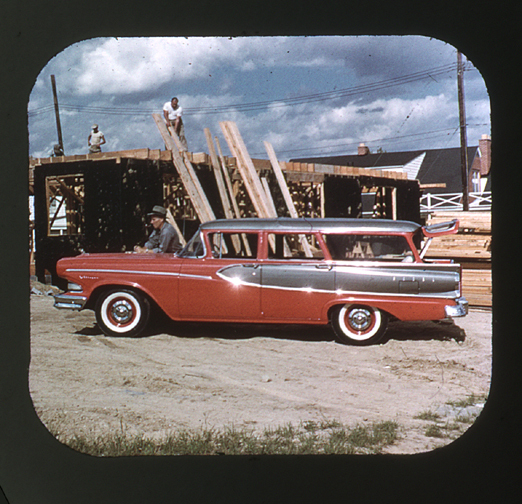 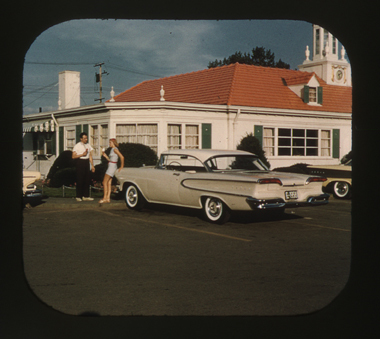 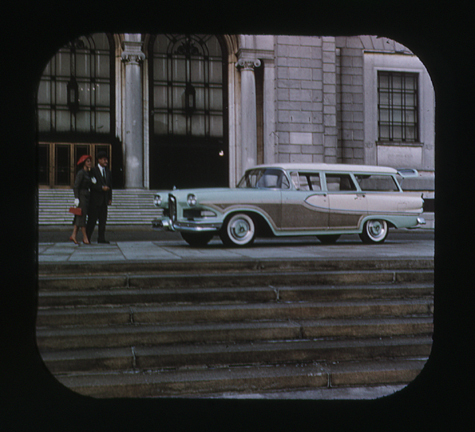 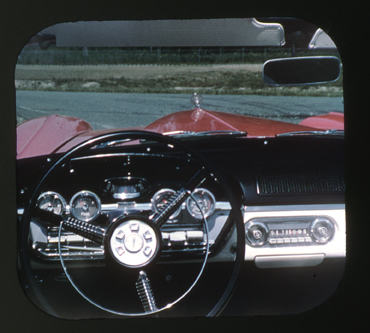 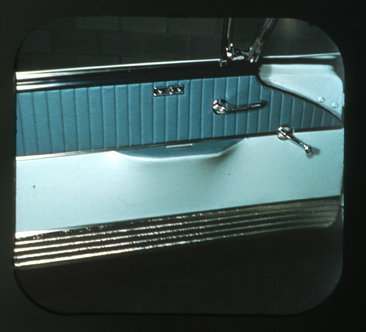 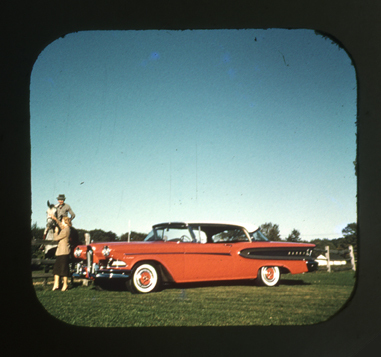 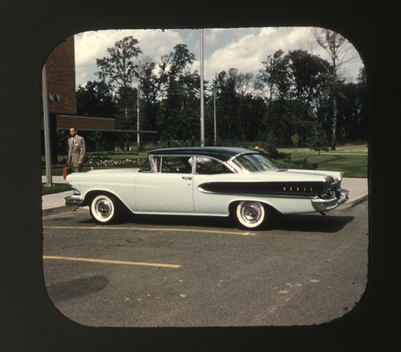 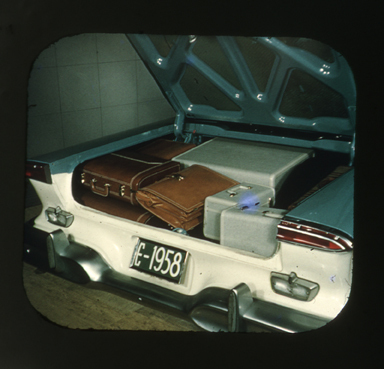 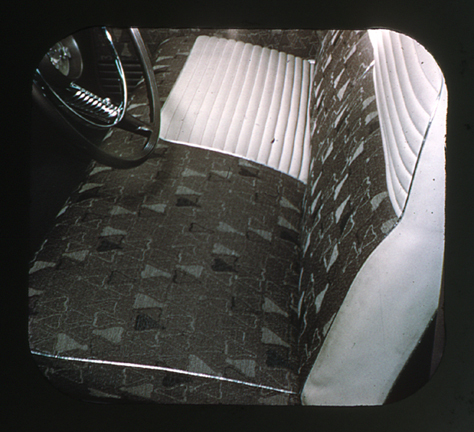 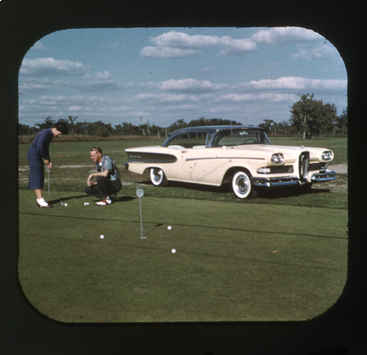 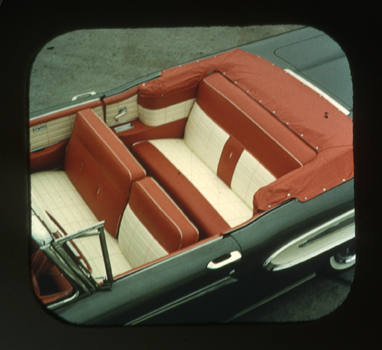 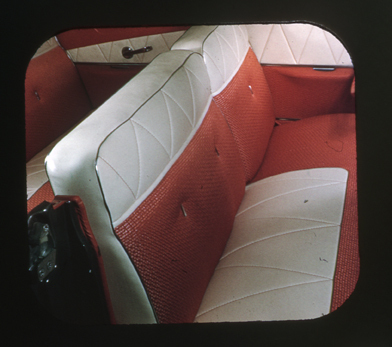 As part of their "Green Line Program" to promote the new Edsel, the Edsel Division had 5 View-Master reels developed to show off their new baby. 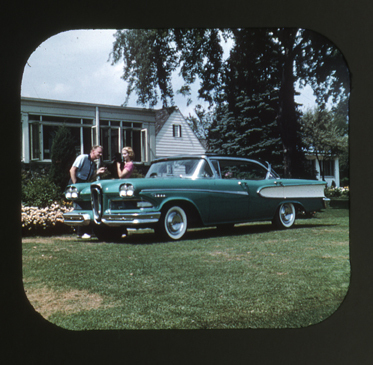 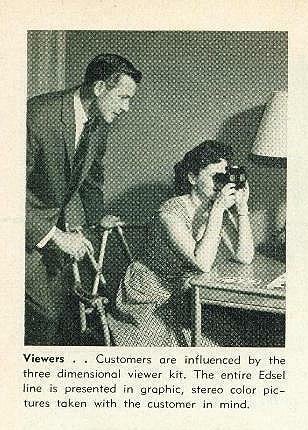 A magazine article from this publication stated that "a three-dimensional viewer kit provides Edsel salesmen with a tool with which they can walk right into a potential customer's home or office and show the complete line". 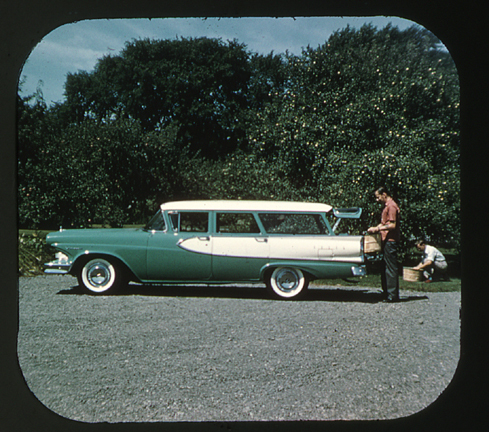 There were 5 reels in all, one each for Ranger, Pacer, Corsair, Citation, and Station Wagons. 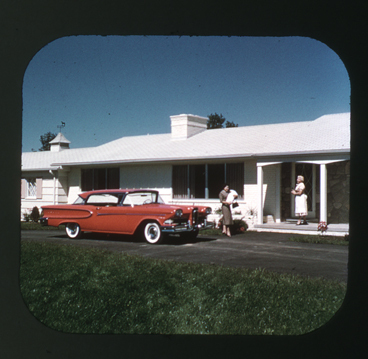 Each reel held seven images that, when viewed through the View-Master viewer, gave the impression of 3-D in beautiful Kodachrome colors. 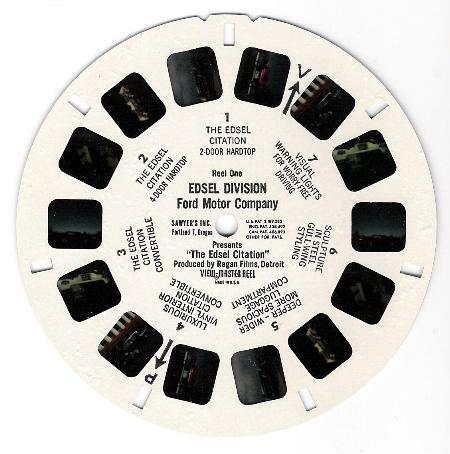 These reels were just like the ones you looked at as a kid, but instead of Bugs Bunny or Popeye, there were Edsels parked in all types of settings, some interior photos, and even a photo of the engines on a stand. 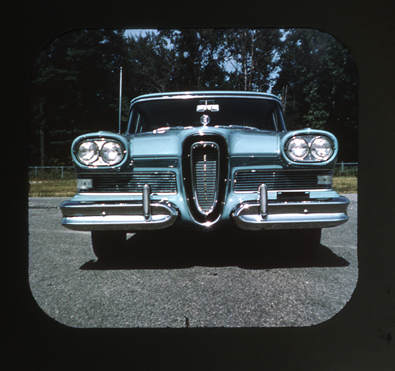 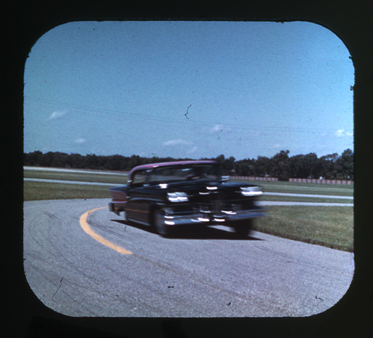 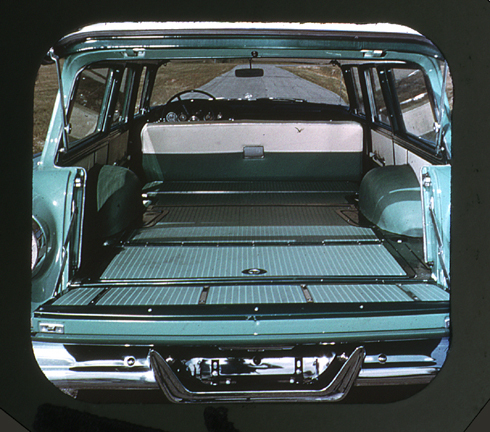 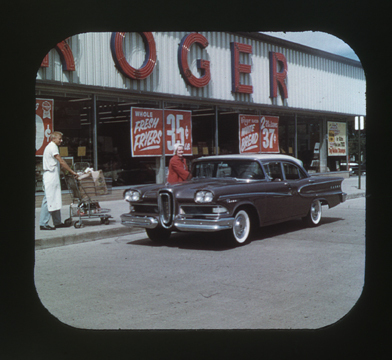 Below you can see these images, although only in 2-D, but you can get an idea of what a potential Edsel customer might have been viewing as the salesman gave his highly-practiced sales pitch. 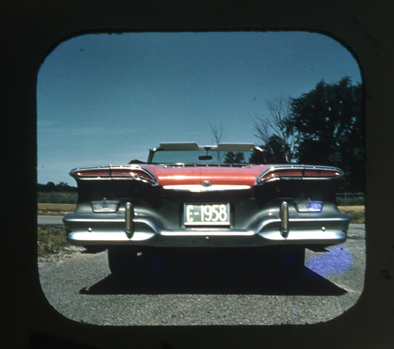 Thanks to Matt Osborne for these scanned images!